Students at the Newhouse School will be taking part in the Democracy in Action project on Election Day. Student journalists at the S.I. Newhouse School of Public Communications are about to get a real-life taste of election coverage by taking part in a project that will place them at the center of one of our most democratic processes. As part of the Democracy in Action project, students will be fanning out to more than two dozen polling places around Onondaga County. They’ll be covering one of the basics of democracy. Namely, people going to the polls to vote. Their work will be published on the Democracy in Action (DIA) website, http://dia-cny.syr.edu/ and appear on NCC News, which is a service of the Broadcast and Digital Journalism students at Newhouse. This is the seventh year students have taken part in the project. As part of the project, students will be filing reports in real time, including text, video, audio and still imagery. 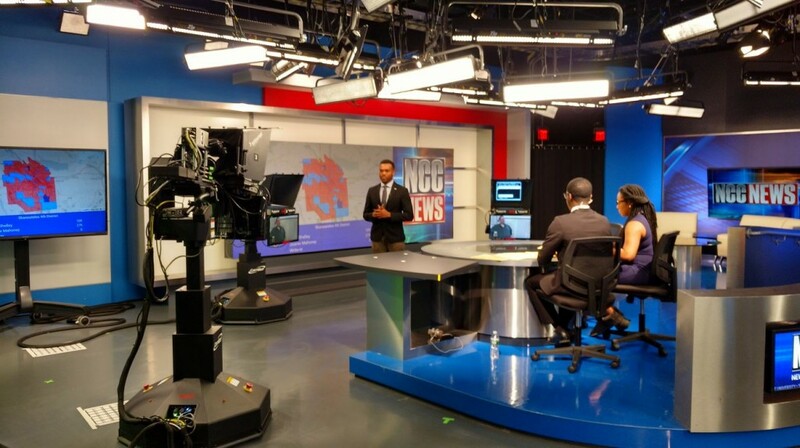 This will also be the first year in which live streaming updates will be provided from the NCC news studios, which will also be available on the Democracy in Action website. Perez believes the best part about the project is that it brings students from across Newhouse, including print, photo, magazine and broadcast, to practice their journalism skills. “A sophomore radio student may work with an active duty military photography student capturing the pride a newly naturalized citizen might feel casting a ballot for the first time. Across different ages, classes and subjects, this project is truly a unified Newhouse journalism experience,” he says. Students will be assigned to the various polling places throughout Onondaga County. Before they head out to the polls, students will meet with Onondaga County Board of Elections Commissioner Dustin Czarny to discuss the ground rules for coverage. News media must follow election rules while inside polling places, such as not disturbing a person as they’re filling out their ballot. For student journalists, it’s a real-life experience, as many of them will be working shoulder to shoulder with other media from the Syracuse market. Student-gathered material will also be made available to NPR stations, including WAER and WRVO. Reporters and photographers in the field will be responsible for getting their stories posted to the project website as quickly as possible. Anchors and producers executing live reports from the set throughout the day must make sure they have the most up-to-date returns.